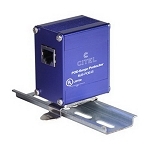 CITEL is an industrial group that engineers, manufactures and sells protection solutions for electrical, networks, telephone (digital & analog) and mobile equipment against electrical transients. These solutions are issued from continuous efforts in research & development, on the component level (such as Gas Discharge Tube), but also on all surge protection ranges to be ahead of our customers needs. 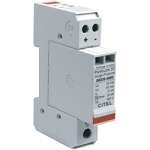 CITEL is a worldwide leader in the surge protection market. 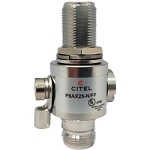 (P8AX25-N/FF) DC-5GHz Gas Tube Coaxial Surge Protector, N Female to N Female Bulkhead, 190W.